Paradigm introduced three lines of Designer Series in-ceiling speaker including all new thin-bezel aesthetics and acoustic enhancements across the AMS, SA and SIG lines. All models are now shipping! 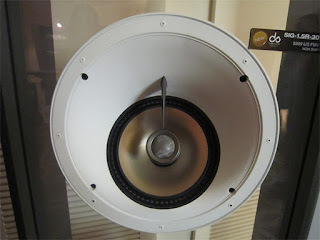 As was the case at CEDIA 2011, the Paradigm SHIFT listening bar was rocking at CES. Along with existing Paradigm SHIFT products on demo (the A2 powered speakers and three earbuds) we also introduced two new accessories. The BD 1 universal bluetooth dongle allows you to stream music from any bluetooth enabled device to your A2 powered speakers. Also, new Sport Ear Hooks were on display for use with all three Paradigm SHIFT earbuds. Both accessories will be available soon. 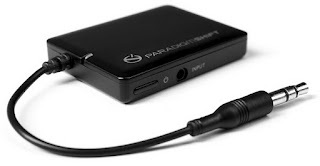 Above, Paradigm SHIFT BD 1 universal Bluetooth adapter - coming soon! 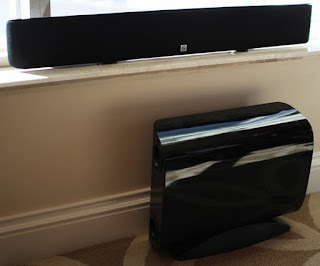 Also new from Paradigm SHIFT and sitting off to the side of the listening bar was a static early stage prototype that we couldn't help but gloat about... a 2.1 Soundbar and Subwoofer coming this summer to the Paradigm SHIFT lineup. It was very well received by all that came by for a peek, so we are very excited to launch the real deal later this year. 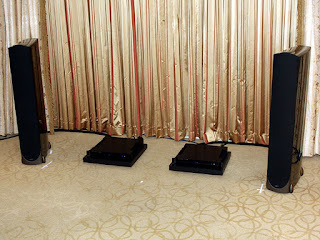 Lastly was Paradigm & Anthem's simple but stunning 2-channel high-end demo featuring two Signature S8 floorstanding speakers driven by a pair of new Anthem Statement M1 1000W monaural amplifiers. The demo room was one of great admiration by attendees, leaving many walking out in total disbelief! That about covers what was new and exciting at CES 2012 for Paradigm, however, the coverage was endless including many videos, photos etc. We encourage you to do a Google search to find out all the details from differing perspectives of the show. Click here! from CE Pro "6 Best Demos at CES 2012"
Click here! 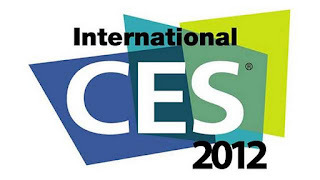 to read about CES 2012 Anthem coverage.